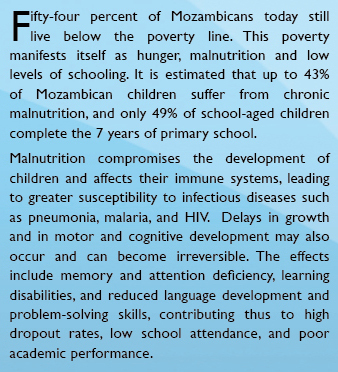 Why We Care About Almirante's Lunch - Planet Aid, Inc.
Almirante never ate lunch during the school day. The small and shy first-grader spent long hours in the classroom with an empty stomach. The curly letters and meandering numbers on the blackboard were strange and bewildering to him. 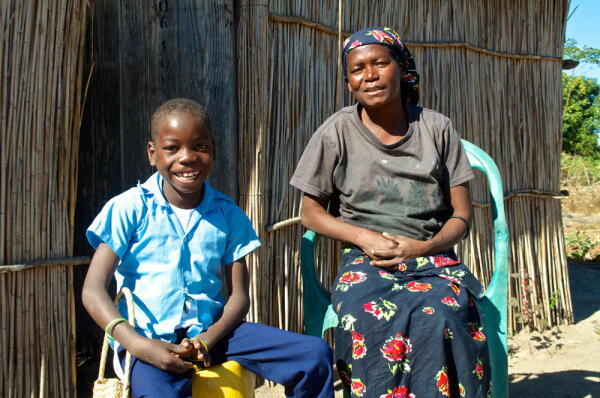 Like most children in rural Mozambique, Almirante comes from a poor family. Meals at home rarely comprised more than one dish of xima, a traditional maize flour porridge, per day. Only on special occasions would the xima be served with a cassava leaf or cabbage stew. Life became even more difficult for Almirante when his father passed away and left his mother alone to raise two young boys. Almirante’s older brother subsequently dropped out of school, and his mother asked another family to care for him. 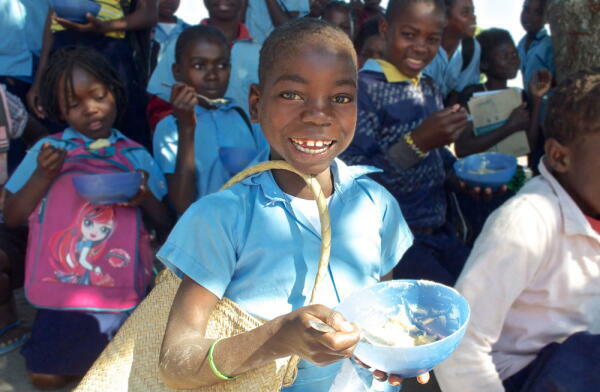 Things began to change for Almirante when the Food for Knowledge project came to his school. Thanks to the daily meal served by the project during lunch, Almirante was not sent to live with another family. He was able to stay with his mother and stay in school. A year after the school lunch program began, the proud second-grader exhibited noticeable changes. He wore a generous smile and his eyes would shine when talking about school. Thanks to the extra-curricular learning clubs organized at his school, the letters and numbers on the blackboard began to make more sense to his curious mind. Today, Almirante can write his name and knows the alphabet forward and backward. He has also grown faster than in previous years, catching up to many of his schoolmates in height. Hearing his mother speak of him, Almirante playfully grabs the basket his father made for him, and runs off to school barefoot with a laugh that fills the whole neighborhood. 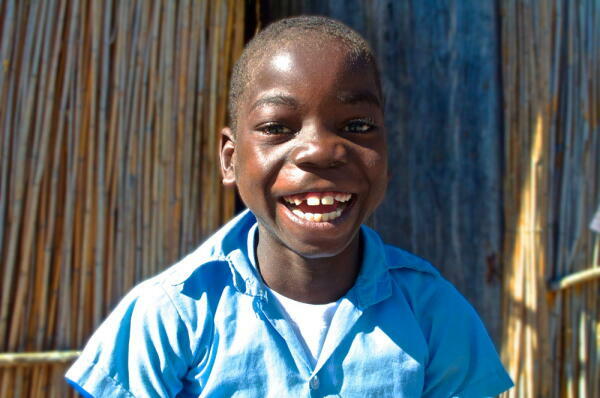 Want to help kids like Almirante? You can donate to Planet Aid’s programs here, and share his story on Facebook or Twitter with the buttons below the comment section! Read more about the Food for Knowledge program by clicking here.